I’m sure you’ve seen people walking around with what looks like colorful ace bandages plastered onto their bodies in funky shapes. I’m also sure that you’ve wondered what it was? Well, I didn’t know either until my physical therapist introduced it to me. 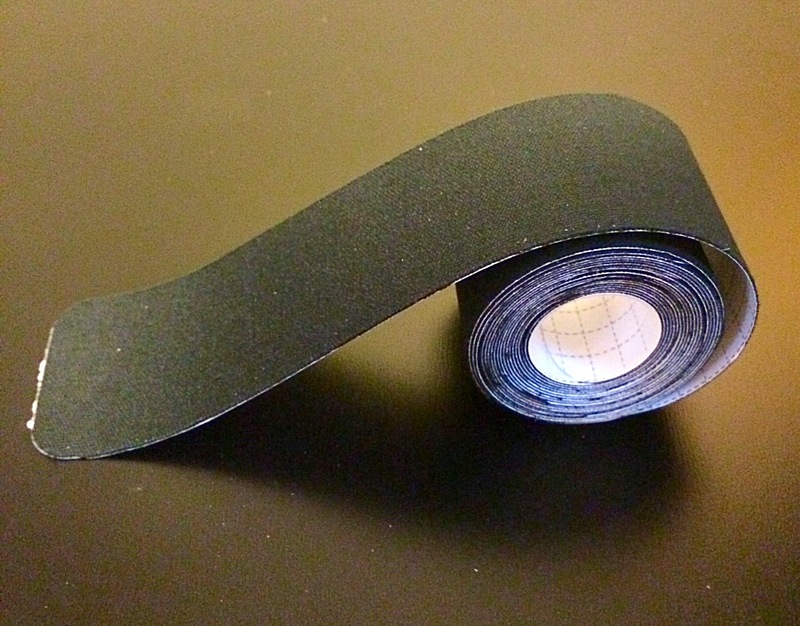 Turns out that this mystery item is kinesiology tape. The first time my physical therapist sent me home with it on my shoulder I was amazed. It really helped manage my pain and after each appointment I was sure to ask my physical therapist to tape me up. Kinesiology tape is also referred to as athletic or sports tape. It can get a little confusing to call it those names because there are other types of tape that fall under the same umbrella. 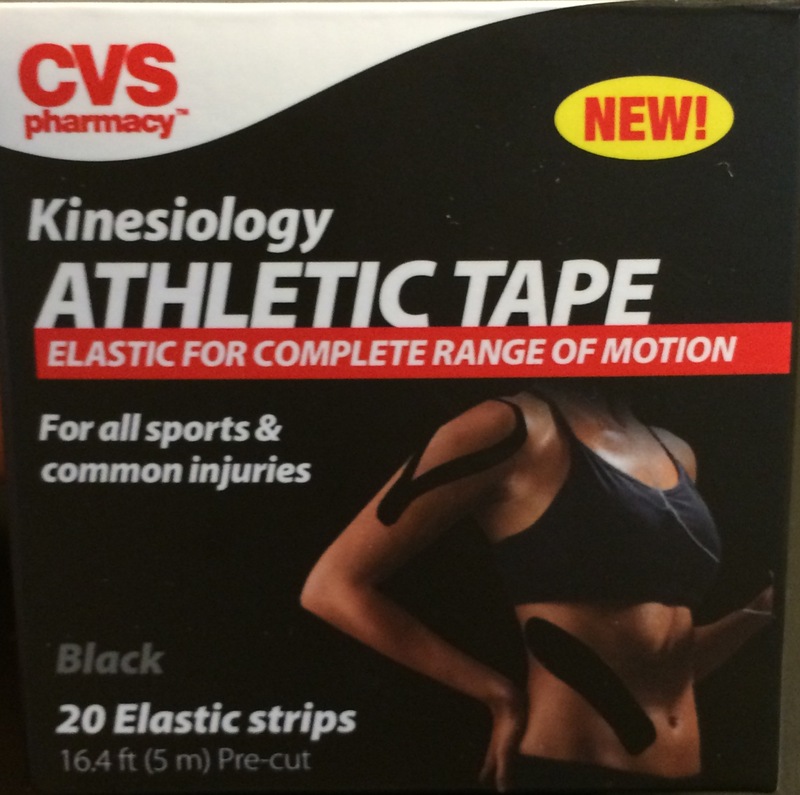 I’ll be focusing this post on the kinesiology type tape. If you’re interested in the other types of tapes they are: rigid tape, felt tape, under tape, elastic tape, and cohesive bandages. Check them out when you get a chance. They’re interesting too. Kinesiology tape was invented in the 70’s by a Japanese chiropractor and acupuncturist named Dr. Kenzo Kase. It was meant to be an alternative to other athletic tapes and is used to treat different ailments of the joints and soft tissue. Kinesiology tape’s main use is pain management. Research suggest that the tape does help with pain, but isn’t as effective as other pain management methods. Don’t let this discourage you. Kinesiology tape can be worn for up to a week. Having a pain management method that continuously provides relief to the problem area is pretty helpful. Kinesiology taping is said to also help with swelling, muscle fatigue, cramps, and DOMs. Another ability of kinesiology tape is that it provides support for weak or injured muscles. The tape will allow you to workout without overly restricting movement but provides enough support to prevent further injury. Kinesiology tape box close-up. Remember to see a professional for proper and safe taping. Does all this sound pretty awesome? I bet you’re ready to jump up, run to your local pharmacy, and buy some kinesiology tape. Not so fast. It takes a lot of skill and training to use kinesiology taping correctly. This means that a quick YouTube tutorial is not going to cut it this time. If you want to try kinesiology taping please see a trained professional. Don’t worry. You don’t have to have a recommendation for a physical therapist to get kinesiology taping done. Plenty of wellness centers offer kinesiology taping from professionals. A little research on centers near you is all you need. I hope was helpful and that you learned something new. I know I did. If you enjoyed this please leave a like or a comment. Be sure to also share this post with a fitness buddy. Thank you and talk to you next time!